Thanks for all the birthday wishes for Sally! It felt great to feel loved by so many awesome peeps, especially when we’re in this big city away from our families. 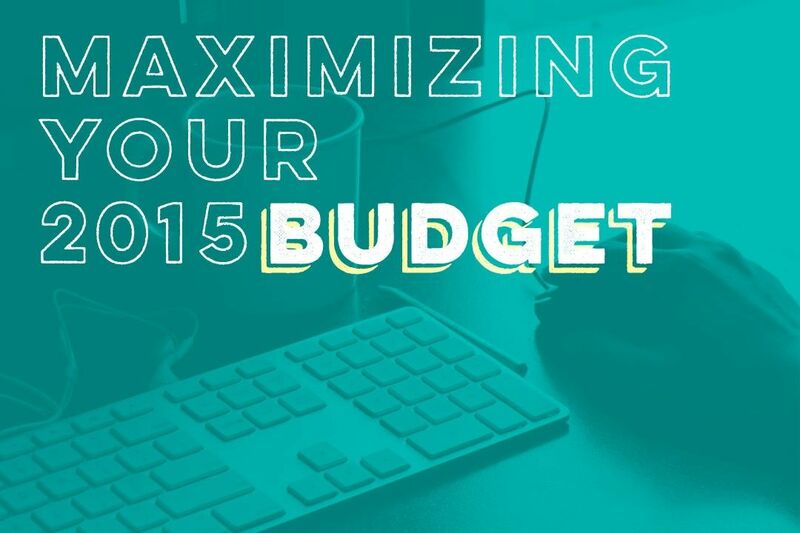 Johnny and I are very excited to share a new series we are kicking off this year about maximizing your budget! A couple months ago, Johnny and I took a long hard look at what we and this site are all about. Everything came back to keeping a budget. In fact, all other financial goals hinge on that one simple (terrible) word: BUDGETING. 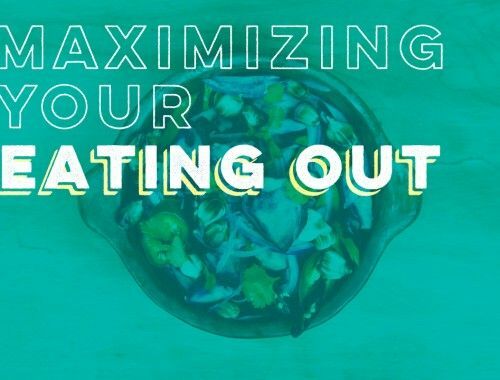 So because we believe it’s so fundamental, central, and frustratingly simple to having financial success, we wanted to take each month to focus on a different aspect of budgeting and how to own it. By the end of the year, we hope to have one ginormous, helpful resource that people can look to when they’re figuring out their specific budgets. And we’re starting off this month with Debt Payoff, so anyone who’s trying to tackle debt in 2015 can use this resource from the start of this year. That post is coming up on Friday so stay tuned! Any other topics you’d like to see covered in 2015? We’d love your input! I love that you actually have a plan for your posts all year. That has to be a great way to write your material ahead of time and actually schedule your post. The pictures of your little princess on the website is so cute. She is selling adorable all day. If only the planning was as easy as the doing. Thanks for the kind words, Petrish. Kudos getting the ball rolling on 2015! I’d love to see posts on maximizing housing costs, including weighing housing solutions that are best for each member of the family, as well as maximizing child care costs. Thanks for the suggestions, Taylor! I’ve been thinking a LOT about my budget lately, and how to wring the most out of a relatively low income, so I’m looking forward to this. Doing this series is much a benefit and reminder for us as it is for others, so we’ll be wringing right along with ya. Those are all great topics! Looks like it’s going to be a great year on OFB! Love seeing pics of Sally, my younger son is just a month older than she is. Looking forward to this series! I’m only a few months in when it comes to budgeting and still trying to figure out exactly what works. I could use all the help I can get! Way to make it happen! It’s a total trial and error thing until you figure out a system that works for you. And then once you’ve got it, it’s like a never ending party of self-congratulatory high fives with yourself. Also looking forward to what you have to say this year! I am especially interested in the Groceries topic in May. I cannot for the life me understand why my family of 4 (2 adults, one preschooler and an infant) needs to budget ~$700 or more a month for groceries while I know other families can do it on much less. Happy New Year! Groceries are super tough. And groceries are super personal, too. Some families insist on organic only, others have family members with allergies, etc., etc. So sometimes it’s hard to compare grocery budgets apples-to-apples, but hopefully we’ll have some ideas on getting all of our grocery numbers down. And Happy New Year! 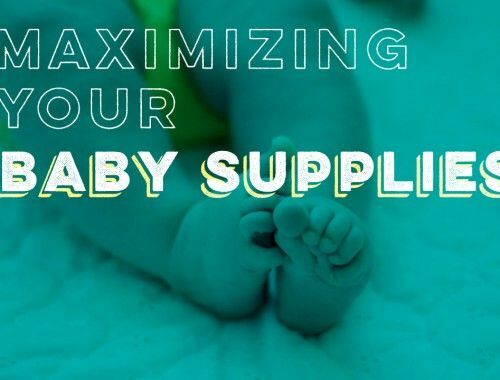 I have two suggestions–first, in the baby category, how about also discussing what to consider financially before having a baby? Second, I know you already did an in depth look at Health Insurance, but in November (before everyone re-enrolls), it may be worthwhile to re-hash that and discuss budgeting throughout the year for your deductible, or health savings accounts, etc. Great suggestions, Jen! So for your first one, we actually did this post a long while back about preparing financially for Sally’s birth: http://www.ourfreakingbudget.com/preparing-financially-for-baby-before/. We’ll probably get around to updating this second time around, too. And then the budgeting for health insurance one is a great idea. We’ll definitely add it to our ideas list. Thanks! Great idea! Budgeting issues that my friends and I are focused on lately – is college savings for the kiddos. I think you’ve picked out some interesting topics – so I can’t wait to hear your perspectives. I’m sad I have to wait eleven more months for “discretionary spending” that is a constant topic of debate around our household. 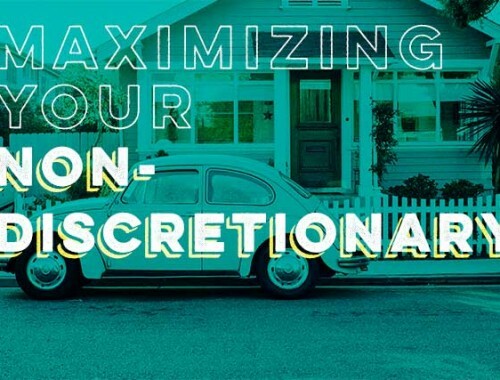 Our discretionary spending is always a sore spot, too, so hopefully we’ll be able to sprinkle some topics throughout the year for our own benefit. This is my first time commenting! I’ve been reading OFB for awhile now and I love everything you guys write! Kind-of off topic slightly, but I live in upstate NY – about 30 minutes north of the city. I know you guys are avid hikers and just moved here (belated welcome!) and I just wanted to let you know that Rockland and Westchester Counties have plenty of great places for day hikes! And, both are accessible by train from NYC (From Penn Station and Grand Central, respectively), although a car might be better for you if you’re going to go to some of the state parks. Check out your local Barnes and Noble – they usually have a section near the travel section that has books about the surrounding area. I picked up a great hiking trails book called Trails of the Hudson Valley for my husband. We’ve hiked most of them, but it was nice to have the book and the maps and see a few we haven’t made it to yet. Or, if you ever decide to venture up, I can suggest places and give directions! Again, welcome (back) to NY and keep up the amazing work on the site! Can’t wait to read the January debt post as its something I’m tackling myself currently. Hey Christina! Thanks so much for commenting and sharing your upstate hiking tips! Once the weather starts breaking in our favor, we’re totally going to take you up on some suggestions. We’ll take a look at some books and start preparing for some post-baby nature loving. Thanks again! This is a great plan. I always have to think about what to write next, but making a nice outline plan for the year/month should help me out as well. I’m also very interested in finding out some ideas of how other people budget for certain things. It’s the first time we’ve planned farther than a couple days in advance, so we’ll see if we can stick to the plan. Thanks for all that you do! I’ve learned so much and have gotten a better hold of our family’s finances thanks to you and can’t wait to read more about all of these topics. I’d love to hear more about the nitty gritty of budget monitoring tools and the logistics of accounts etc. I am a longtime Mint user and added Home Budget (and a standard spreadsheet) based on your great tips but once I mix in yearly and monthly budgets, I get caught up in a whirlwind of having to balance all three and it can be tough to know where I stand on a monthly basis. Thanks so much for way-too-kind words, Maria. We really really appreciate it. That’s a great suggestion. I know we’ve talked a little about all of those things, but we’ve never really explained how we use all of them at the same time. And how that mix of tools actually makes our budgeting/tracking easier. We’re on it! Food is probably our trickiest, too. And now that ice cream costs $6/pint in NYC (WHAT?! ), it means we need to be extra careful. And also never buy ice cream. Yes, Joanna, could you guys maybe give some thought on investment strategies (to building wealth) in your July: Retirement and Savings discussion? I figure that one should think about different investment strategies to use at different milestones throughout one’s life (based in financial abilities, of course). Now that’s a meat and potato topic if I’ve ever heard one. We’re just now exploring a few different strategies that we can probably touch on by July, but we’re still just wee tadpoles in the world of investing. Should be a great discussion though! Well when July arrives, we certainly don’t expect you to have all the answers when it comes to investing (no one really does, not even the “so-called” experts). Rather, as you say, it should open up discussion, with your readers contributing with their ideas (which in turn might help you folks out a bit as you plan ahead). To my mind, investing (when done right) is really the only way to break out from being “just ok” to “really well off” financially over time. Free college courses on personal finance. I’d love to get your write up of all that it offers and get the word out to a bigger audience. Going through it myself really reaffirmed the notion of tax efficient saving and investing. Thumbs up on that. I’ve been able to read through most of their courses, but I’d love to actually sit through and watch an entire course’s lectures. I just need to find an extra 40-60 hours. Too bad I didn’t just take the classes while I was a student instead of sitting in a dorm room playing Super Smash Brothers. It helps us a ton to have brainstormed posts out a few days or weeks in advance rather than wondering, “Hmm… what should we write about tonight?” Hope your new plan goes well!